An important aspect of a divorce decision pertains to child support and how much the court will order one spouse to pay the other. It is important to get it right, no matter on which side of the table you sit. If you’re the parent seeking support, your financial future is being determined by the court. If you’re the spouse being asked to pay support, questions may arise about how you’ll cover this added financial requirement. The skilled and compassionate St. Joseph Child Support Lawyers at Murphy, Taylor, Siemens & Elliott, P.C. have represented both parties in their child support cases and understand both scenarios. Kansas and Missouri law states that each parent has a responsibility to financially support their children, whether they’re married or not. Usually, the parent who has the primary physical custody of the child(ren) benefits from a child support payment. If the parents both have equal time with the child, that will be a factor in calculating child support. All of these factors will need to be established and proven. It’s so important that a competent attorney take over this task and make sure that the courts have a clear picture of each element. The Family Law attorneys at Murphy, Taylor, Siemens & Elliott, P.C. have done just this, time and time again, and look forward to advocating for their clients. Every few years, Missouri and Kansas modify a set of guidelines that the state considers to be the costs of child-rearing, including food, shelter, etc. The monetary guidelines from these standards are based on the parents’ incomes, and as they increase, so do these guideline amounts. A clear idea of each parents’ incomes must be presented to the court, so the child support figure is accurate. The St. Joseph Child Support Lawyers at Murphy, Taylor, Siemens & Elliott, P.C. are proficient at getting to the bottom of each spouse’s income and sometimes need to judiciously investigate to understand it. Child support doesn’t necessarily end when the child turns 18 and can be required until the child turns 21. Because of this lengthy obligation, it’s all the more important that a child support judgment is feasible and fair for each person involved. Our attorneys take this obligation seriously and aggressively work to make sure their client’s child support judgment is reasonable. If an ex-spouse or partner is not paying the child support that’s been ordered and has fallen behind, the legal professionals at Murphy, Taylor, Siemens & Elliott, P.C. can help. We’ve filed many Motions for Contempt to see that an ex-spouse’s child support orders are obeyed. The clerk’s office of the court will send a notice to the employer of the spouse who’s delinquent. Together with the court’s mandate, our attorneys will fight diligently to see that a child support order is followed. A child support order can be modified with the life changes of a parent or needs of the child. Our attorneys have helped several families to modify their child support agreements as amiably and smoothly as possible. As a family faces the complicated subject of child support, it’s unwise to attempt to navigate it alone. 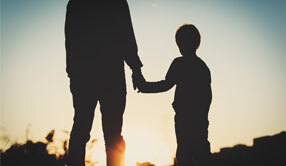 The guidance and capability of an attorney are vital to attaining a child support order that is just and adequate in meeting the needs of the child in question. The attorneys Murphy, Taylor, Siemens & Elliott, P.C. can render this imperative expertise and see that the judgment is beneficial for our client and their children. Contact us locally at (816) 364-6677.